Summary: Pura Belpré wasn’t planning to stay in New York City when she visited from Puerto Rico in 1921, but before long she had found a job at the New York Public Library. She discovered the children’s room didn’t have any of the Puerto Rican folktales she had grown up with, and began sharing her stories with kids who visited the library. Later, she found other ways to tell these tales, through puppets she created and books she wrote. 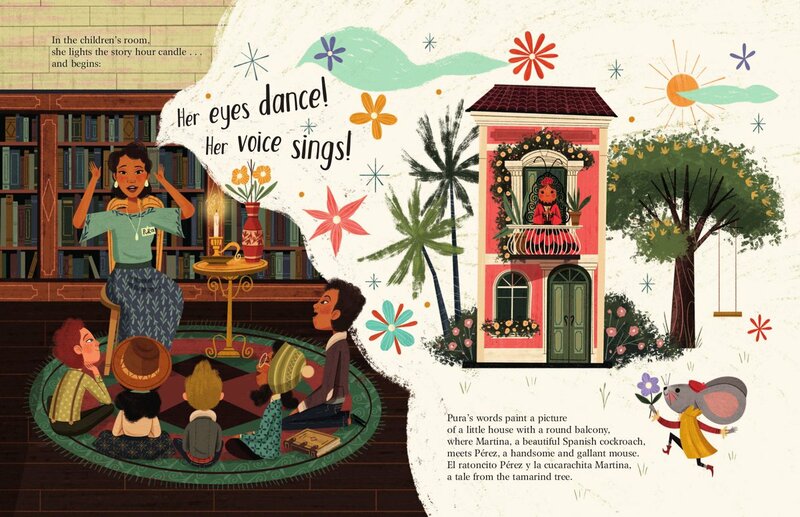 Her legacy lives on through the Pura Belpré award, given each year to Latinx authors and illustrators. Includes author’s note, additional resources (books, archival collections, articles, films, and a list of Pura Belpré’s stories mentioned in the book). A Spanish version of this book, Sembrando Historias, was published simultaneously with the English one. 40 pages; grades K-3. 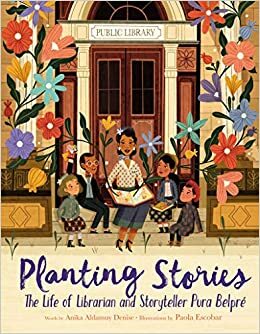 Pros: A beautifully written and illustrated book about a woman whose work with books and libraries continues to have an influence today. Spanish words and phrases are scattered throughout the story, but with enough context to be understandable. Cons: Books about “celebrity librarians” can be a hard sell with the elementary crowd. If you would like to buy the English version of this book on Amazon, click here. If you would like to buy the Spanish version of this book, click here.